Susan B Anthony 15 February 1820 13 March 1906 American Daniel Anthony Lucy Read Women's rights activist American social reformer and feminist, she was raised in a Quaker household and went on to work as a teacher before becoming a leading figure in the abolitionist and women's voting rights movement. She partnered with Elizabeth Cady Stanton and would eventually lead the National American Woman Suffrage Association. 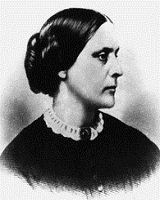 A list of popular susan b anthony quotes are given below.